London (HAN) November 12, 2014 – Public diplomacy and Regional Financial investment news. 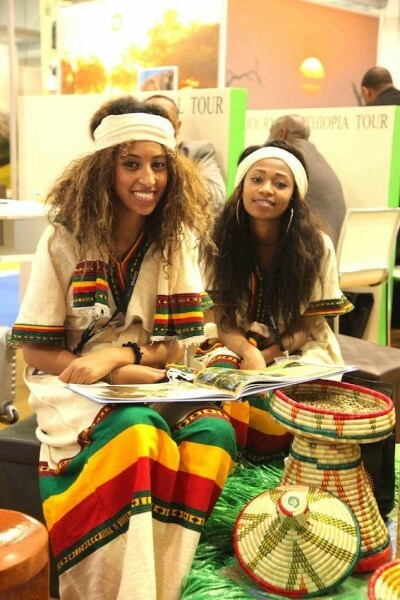 Ethiopia participated in the World Travel Market exhibition in London last week (November 3-6). An opening ceremony was held at the Ethiopian stand by Ethiopia’s Ambassador to the UK, Ambassador Berhanu Kebede, the, Director General of the Ethiopian Tourism organization, Solomon Tadesse, and Ethiopian Airlines Area Manager , Michael Yared. The World Travel Market (WTM) is an event which brings together professionals and decision makers representing the global travel and tourism industry. It is an important platform for promoting tourism internationally. This year, Ethiopia was represented by a number of outstanding companies including Ethiopian Airlines, the Kuriftu Resort and twelve of the country’s best known tour operators. The Ethiopian Tourism Organization, the Government’s tourist promotion arm, coordinated the participation. A number of other ecents were also organized in conjunction with the World Travel Market including a public lecture on the Rise and Fall of the Axumite Kingdom was given by Professor David Philipson, and a cultural music show and photo exhibition at the Royal Geographic Society. The potential for tourism in Ethiopia and the efforts to improve it were also highlighted at a press conference which was addressed byMr. Talib Rifai, Secretary General of the United Nations World Tourism Organization who had recently visited the country. Ambassador Berhanu Kebede said that the Government of Ethiopia attached great importance to the sector and had embarked upon the implementation of policies and strategies designed to exploit the country’s tourism potential and maximize the benefits from the sector. He mentioned the construction of roads and airports to improve access to tourism sites as well as duty free privileges and other incentives to encourage the private sector to construct and operate hotels, resorts and recreation facilities. He underlined the importance of the tourism sector and the crucial role it played in generating foreign exchange and creating jobs.